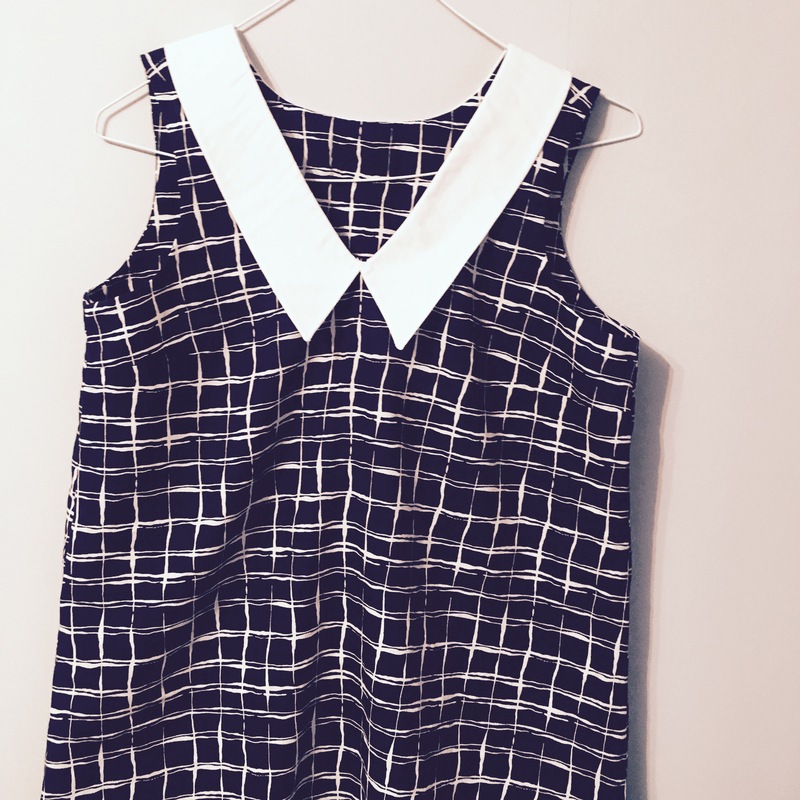 Fabric: Navy/white rayon-cotton poplin from Mood Fabrics and a basic white cotton lawn for the collar. Sizing: I cut a size 0. 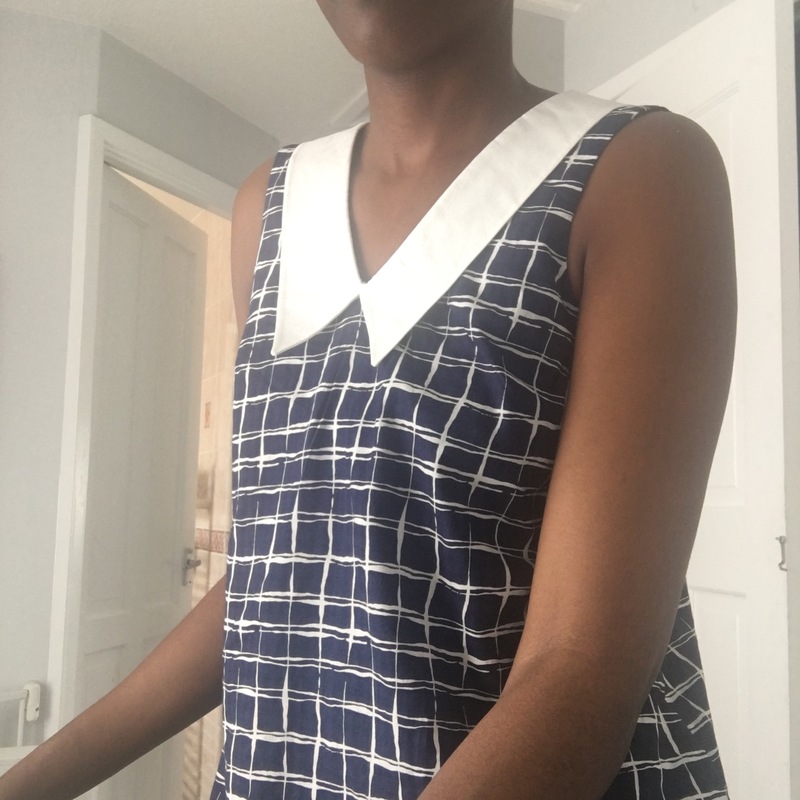 Alterations: None on this, but next time I make it I need to move the bust darts down slightly and I’ll probably push the shoulder seam up by 1.5″ as the way that it sits most comfortably on me, the shoulder seam sits lowered onto the front bodice by about that much. Instructions: as usual for Colette/Seamwork, the instructions were clearand straightforward, with lots of helpful diagrams. The facing was attached with the burrito method, which was nerve-wracking as it always feels like I’m doing it wrong, until the last minute when it’s pulled out and looks perfect! Difficulty: the burrito method was the only tricky bit to this pattern, it was pretty plain sailing. Time taken: I did it in one day, in bits and pieces when the boys were napping/preoccupied. If I had the luxury of a day to myself, it would probably only have taken 2-3 hours of cutting, interfacing and sewing. 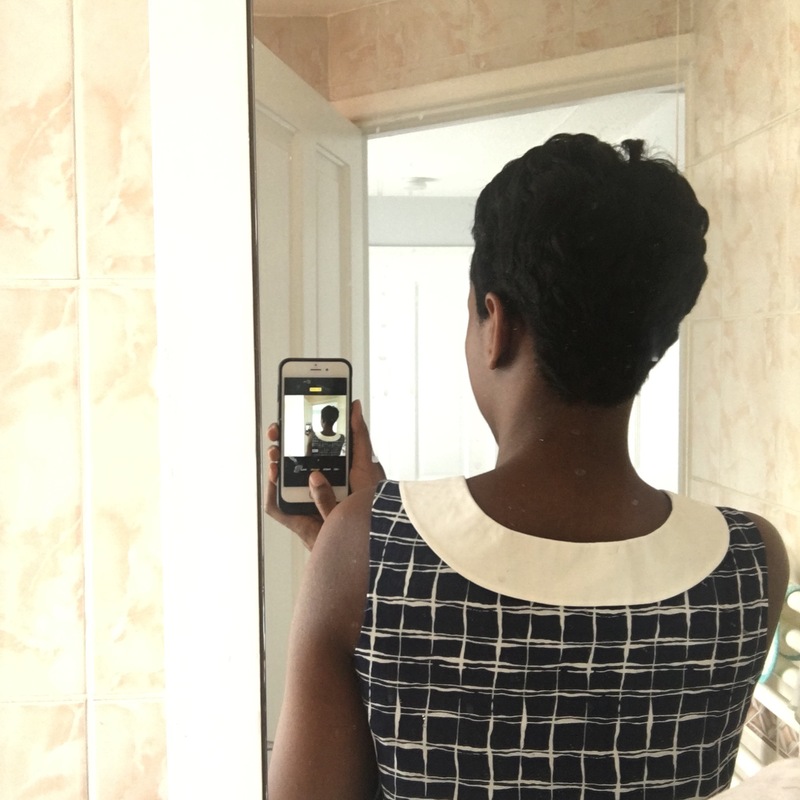 Seamwork reckons it takes one hour, but I think I’m slow 🙂 Assembling the PDF took more time than construction of the top. Would I recommend it? : I think I might take this question off my “review” template because so far I’ve not made up a pattern that I wouldn’t recommend.. But I do love this one, too! 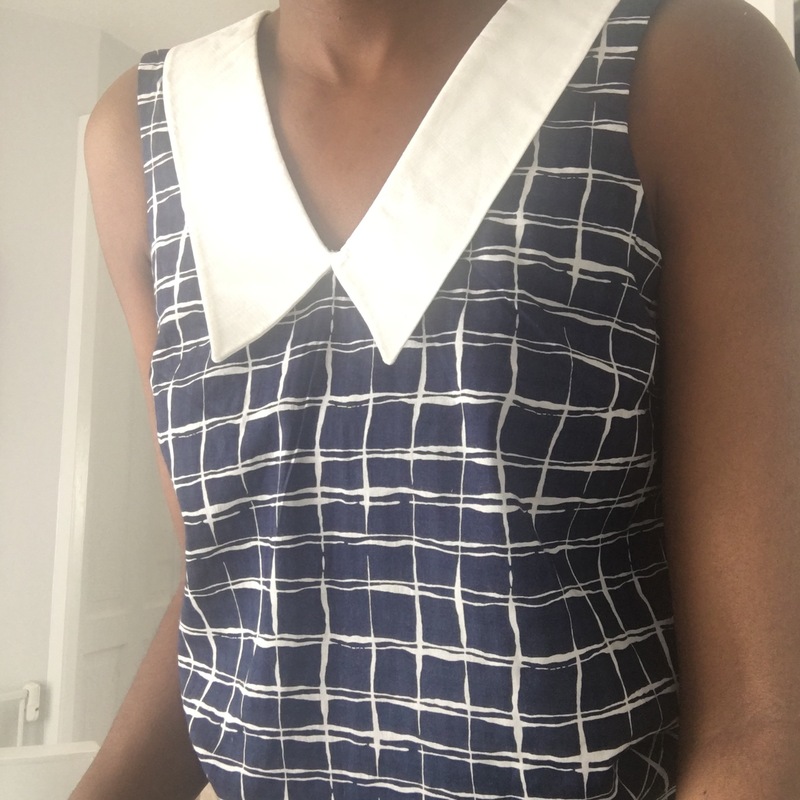 As they noted, although at its heart this is a basic tank, the collar makes it much more polished and suddenly something that I’d happily wear to work where I might not wear a basic cami. It’s roomy and hip-length so has a nice profile over skinny jeans but also looks nice tucked in for work.